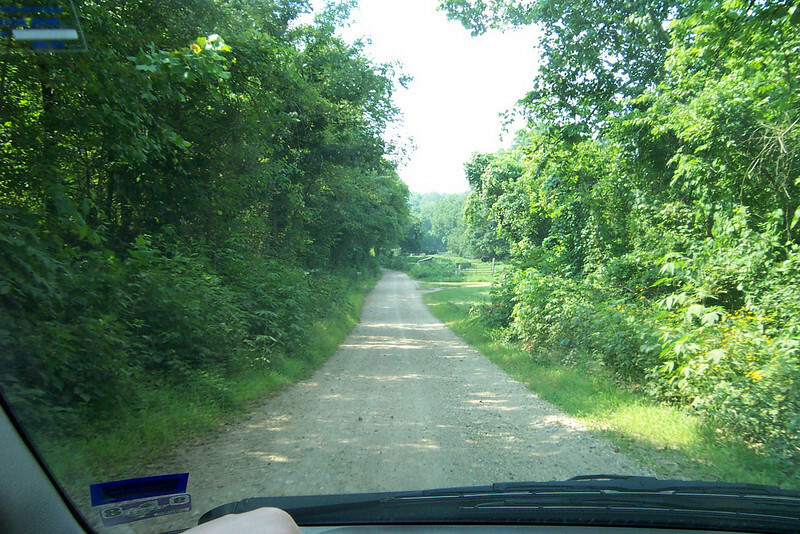 Okay, no Texas photos here, but our roadtrip began and ended there! In lieu of an 80th birthday party, Mom wanted us to take a family trip so we could spend some time together. Wendy came home from Ukraine in July, so I flew to Texas from Seattle and we packed up the cars for Arkansas. 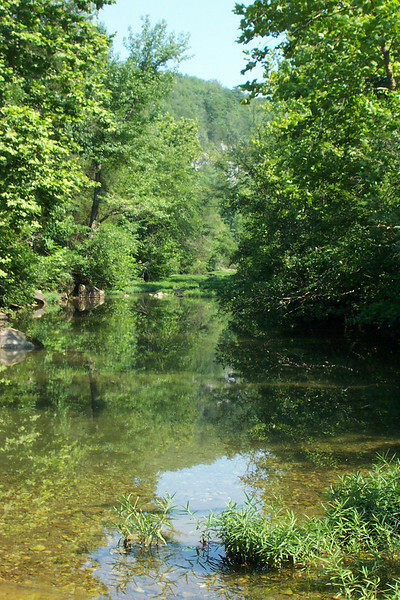 Why Arkansas? We were hoping it would be a bit cooler there than Texas usually is in July. It wasn't cooler, but it was less humid. 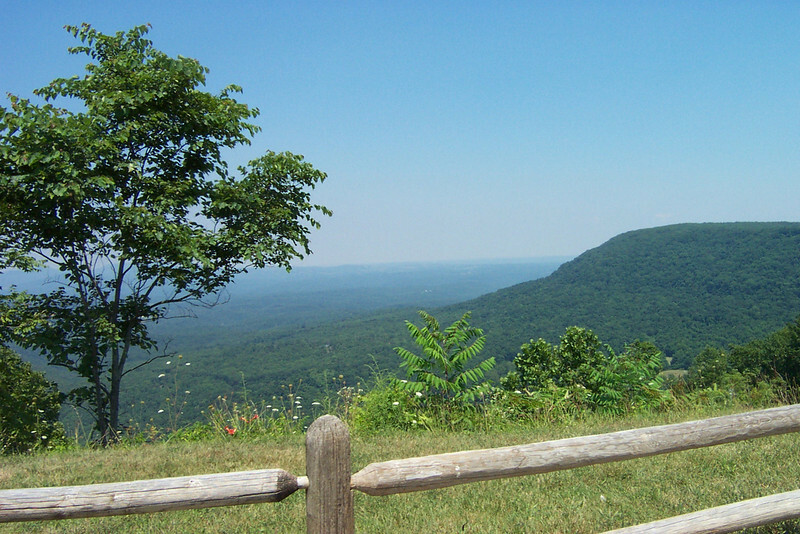 And the scenery's pretty nice, too! 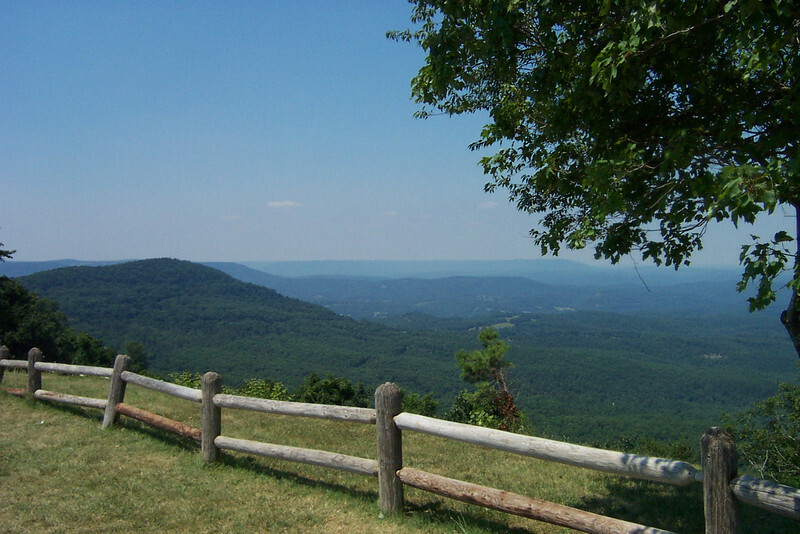 This is the view of the Ozarks from a rest stop on Highway 7 in northern Arkansas. 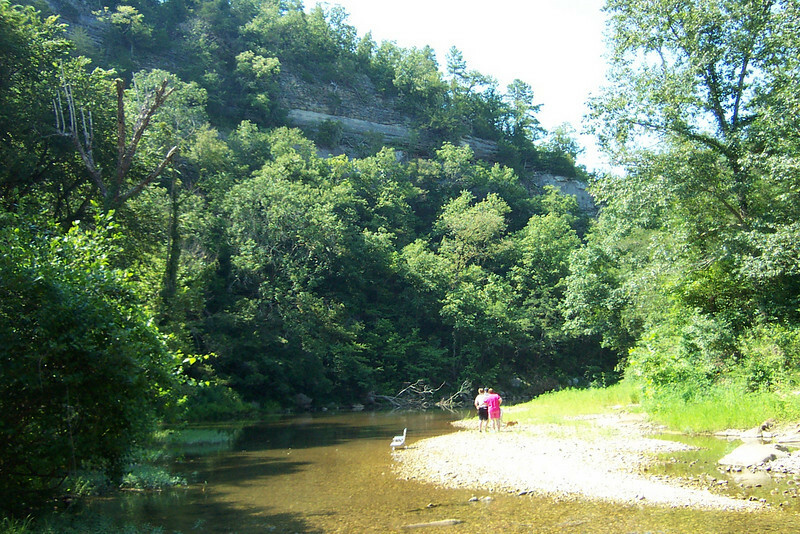 More of the Ozarks view at the same rest stop. Seven people (Mom, Dad, Mark, Wendy, Jenna, Sheri, and me) and two dogs (Roxy and Oscar) traveled in two vehicles for two days to get here. We spent the night in Texarkana on the way. 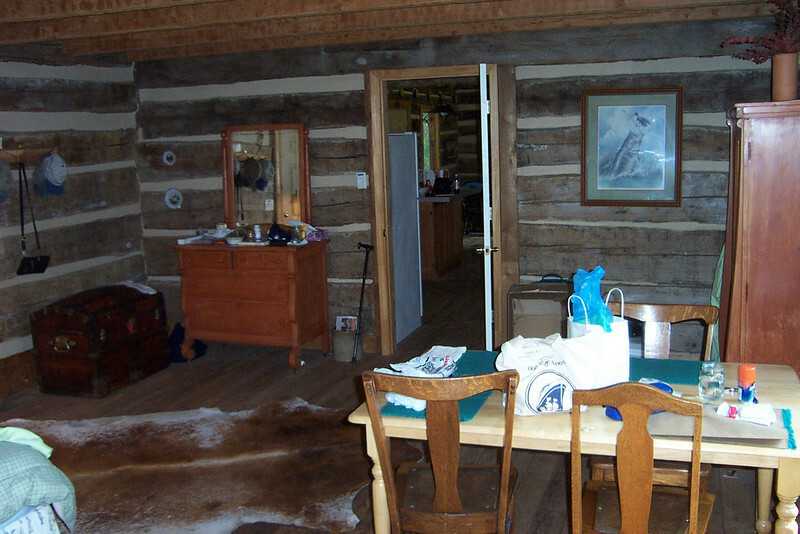 This is the cabin where we had our "isolated togetherness." Wendy found this place for rent on the Web. 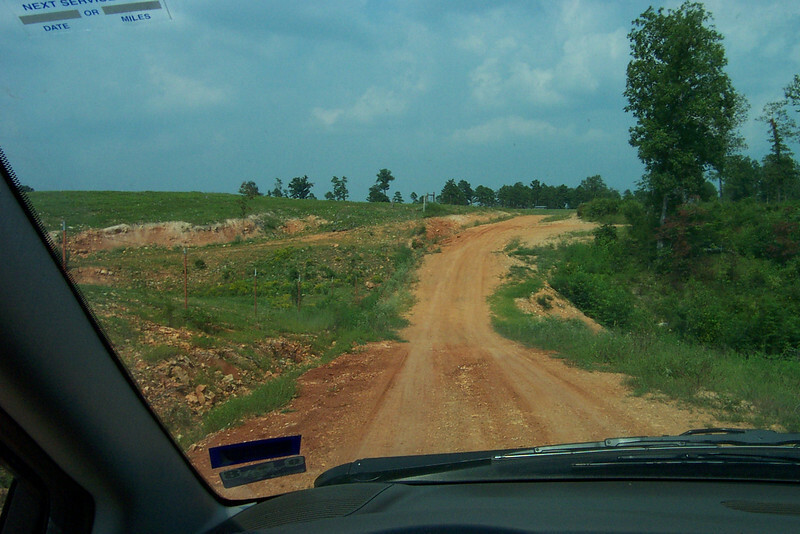 We'll take a photo tour of it in a moment, but first you have to experience what it's like to get there. The closest town was a little spot in the road called Mount Judea (which we learned is pronounced by the locals as "judy"). 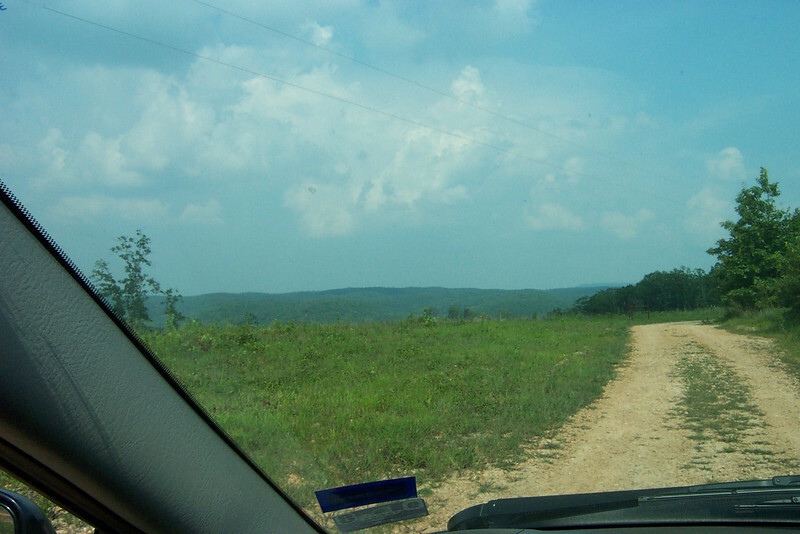 You drive about five miles from Mount Judea (up and over a very large hill), and then you run out of pavement! The cabin owners had written up directions from this point, and I had to refer to them every single time we went in or out. The instructions said to reset the trip odometer when you left the pavement, and then they had specific instructions based on your mileage. It's a good thing they did that because there were several forks and intersections along the way that were completely unmarked. 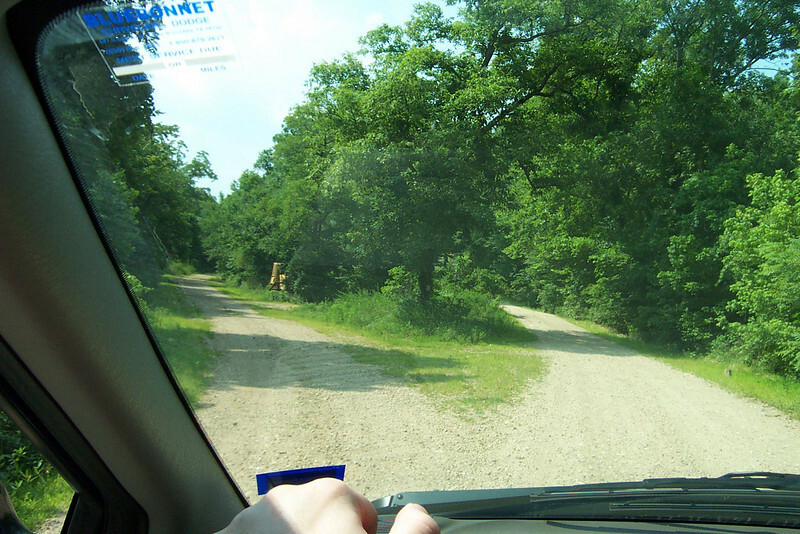 If it hadn't said things like "At 2.3 miles, take the fork on the right," I think we would have gotten hopelessly lost! 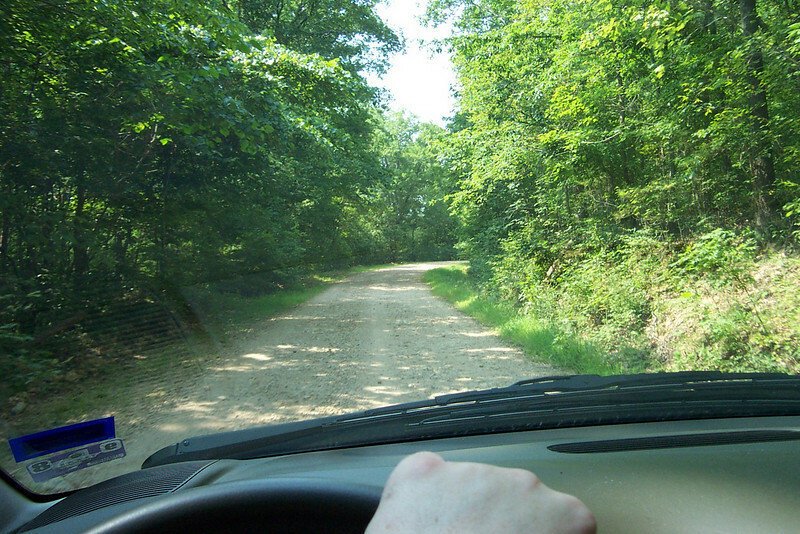 We continued on and on over the gravel roads. You could only go about 20 or 25 miles an hour. 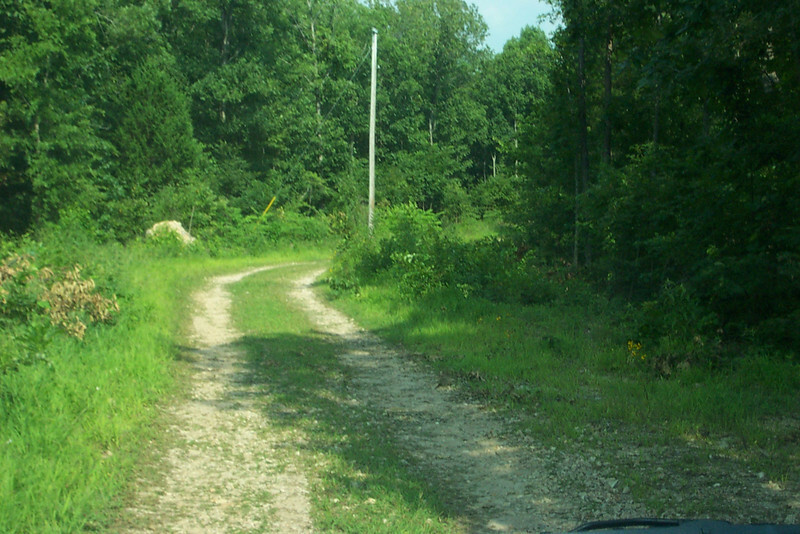 And then the gravel ran out, too! Thank goodness we had no rain when we stayed here. What a muddy mess this must become! Some more twists and turns, and now we're up on top of the ridge. 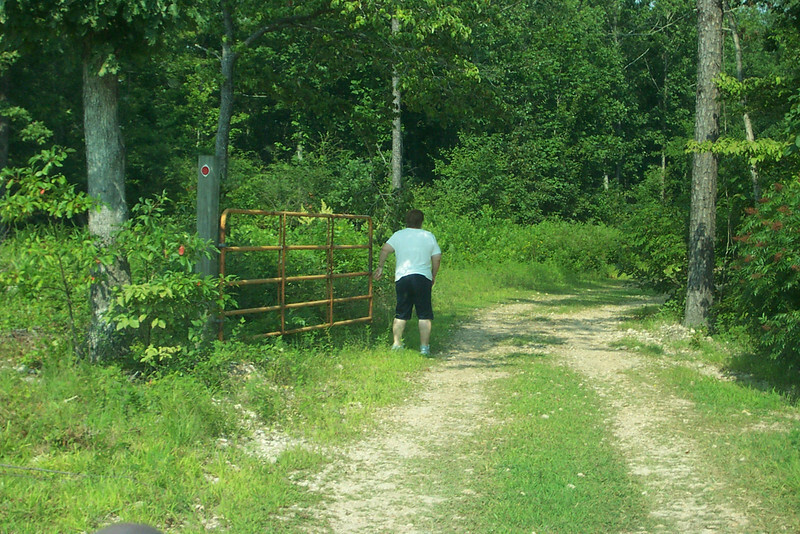 Finally, about five miles after we left the pavement, we get to the property's gate. Wendy hopped out to do gate-duty this time. We have access! Wendy's a good gatemaster. 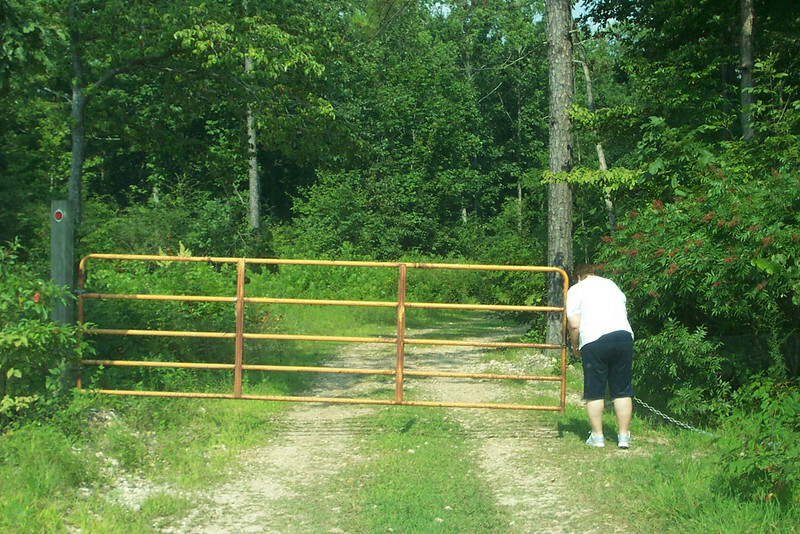 We're through the gate, but we're not quite there yet! Only about a quarter of a mile to go. Hoo-ray!! We made it! 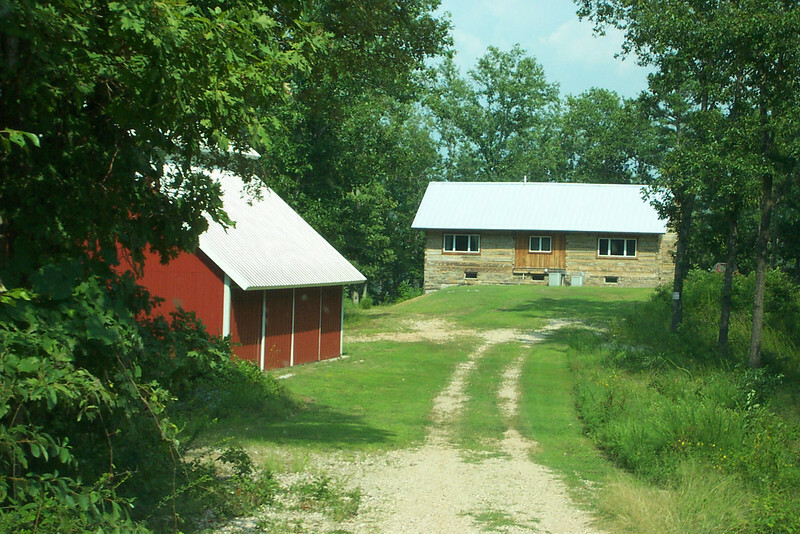 At left is a garage/storage building which we didn't use (it was actually locked). 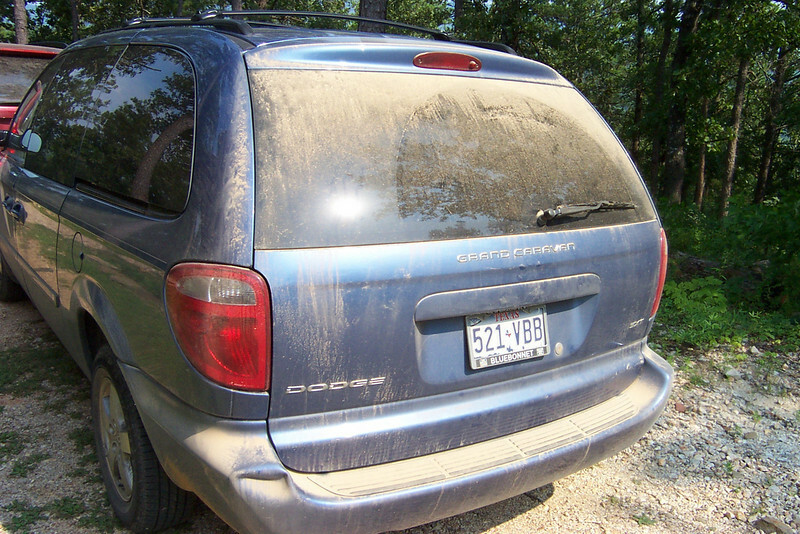 This is what Mom and Dad's van looked like after five miles of dusty roads. 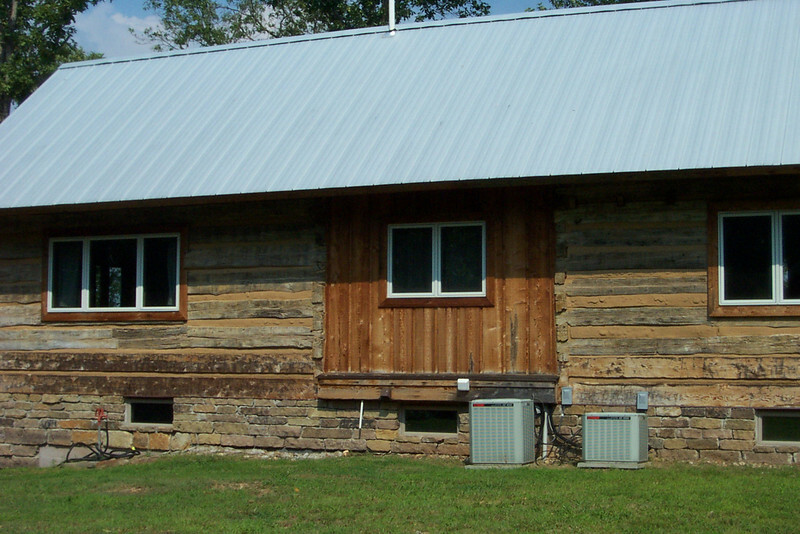 This is the backside of the cabin. It was originally built in Kentucky, and it once had an open "dog run" in the middle. You can see in this shot that they filled in the open space. And note the air conditioner units--thank goodness for those! 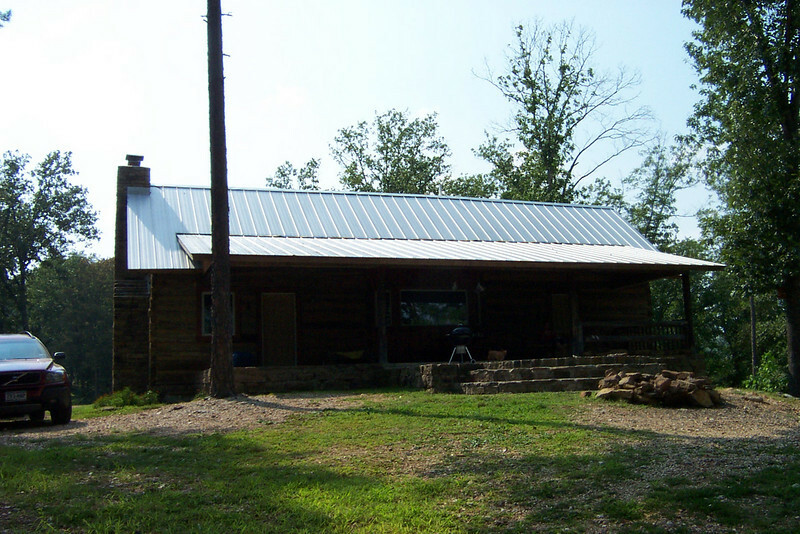 The owners dismantled the exterior beams of the cabin in Kentucky and brought them here to rebuild. There was an album inside with pictures of the whole moving/re-building process. The 18-wheeler carrying the beams actually flipped over while making a turn on the gravel road! 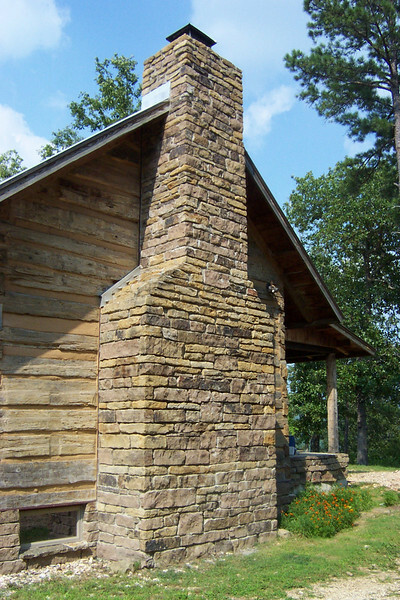 The chimney and other parts of the cabin are not original, but they blend together so well that you'd hardly know it. 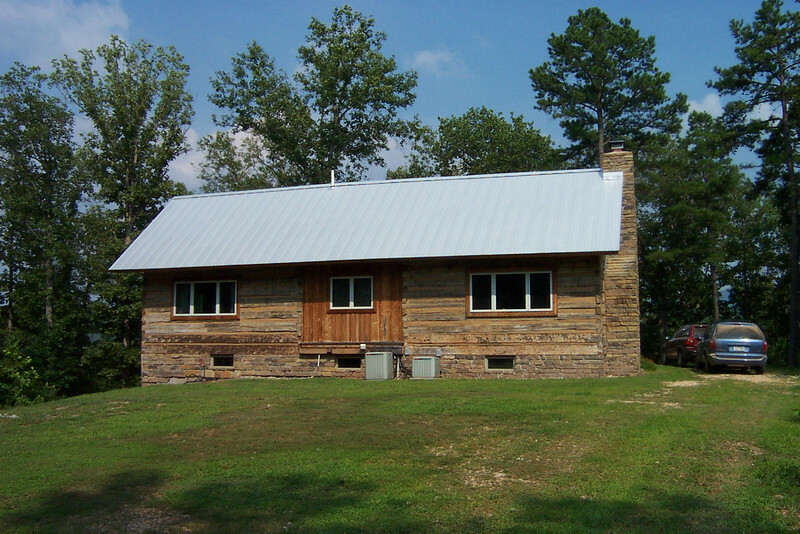 This is the front of the cabin. 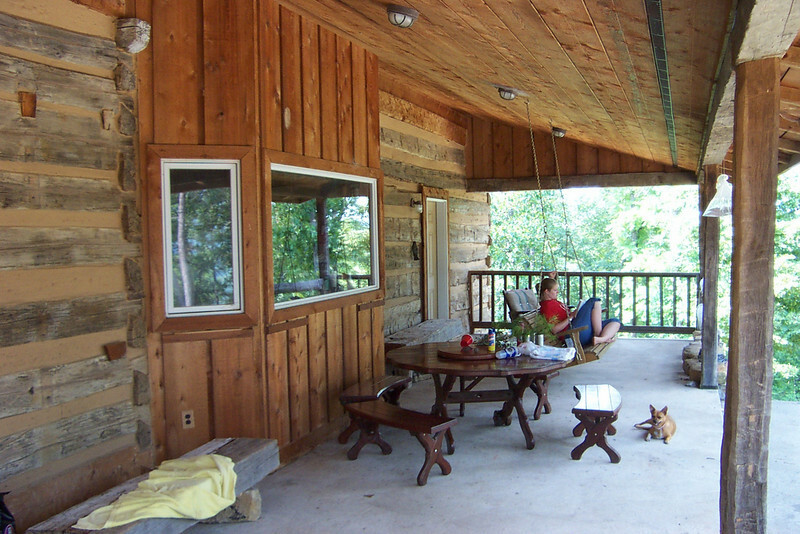 A porch extends all the way across the front. 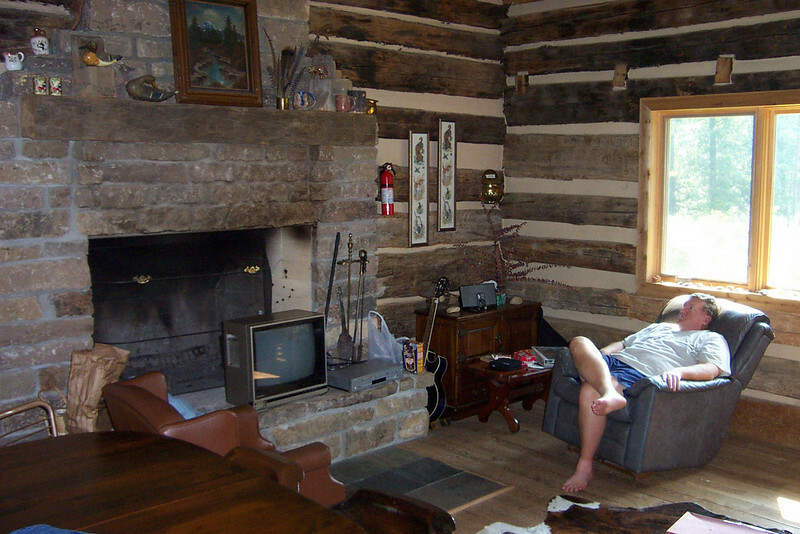 The living room was very comfortable. And very tall! From outside, the cabin looked much smaller than it actually was. 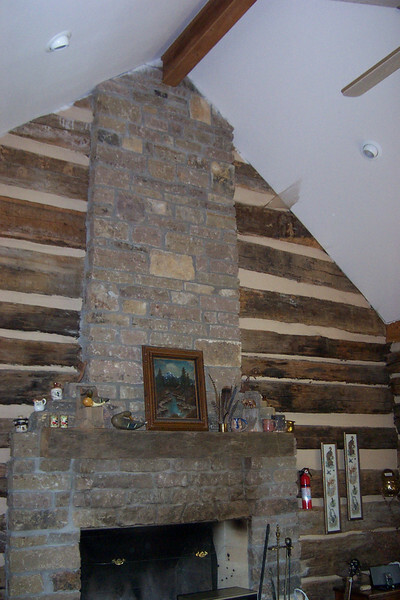 Opposite the fireplace was a loft. 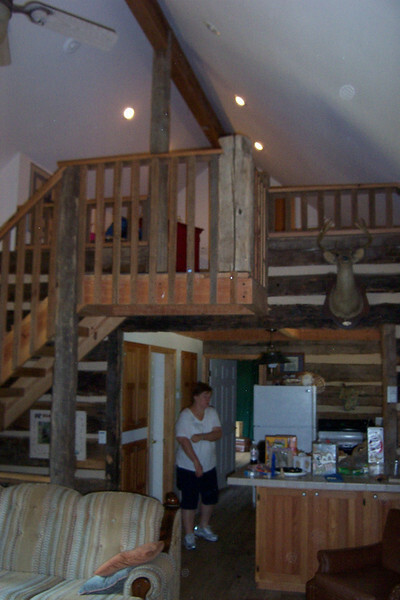 I'm up in the loft now overlooking the living room. The loft had a sitting room with a fold-out couch where Jenna slept. 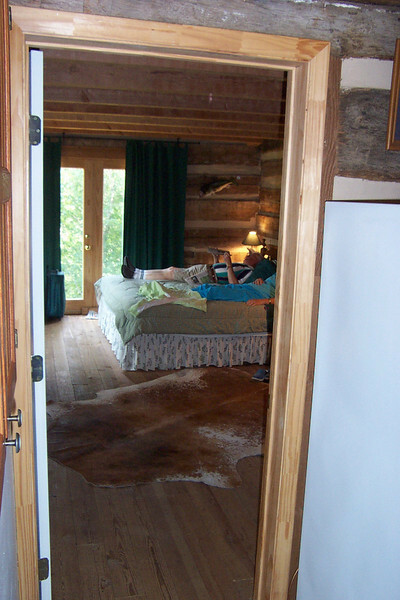 Beyond was a bedroom with two beds where Wendy and Sheri slept. 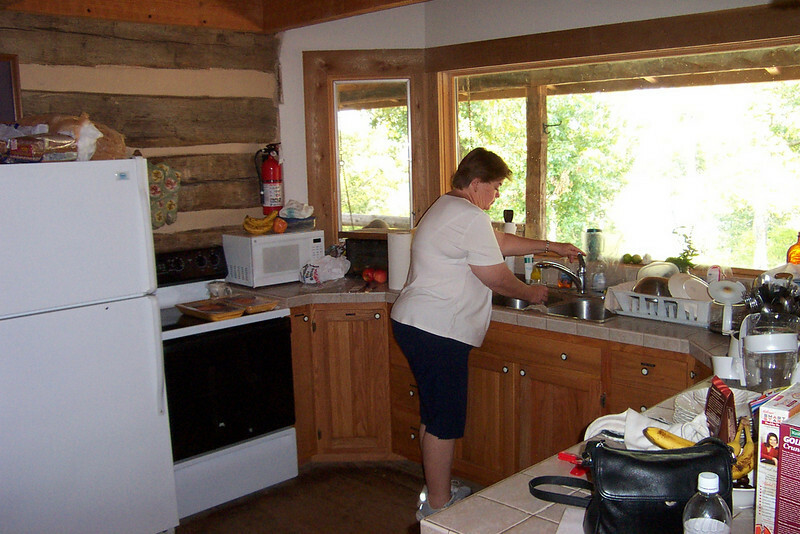 Below the loft was the kitchen. 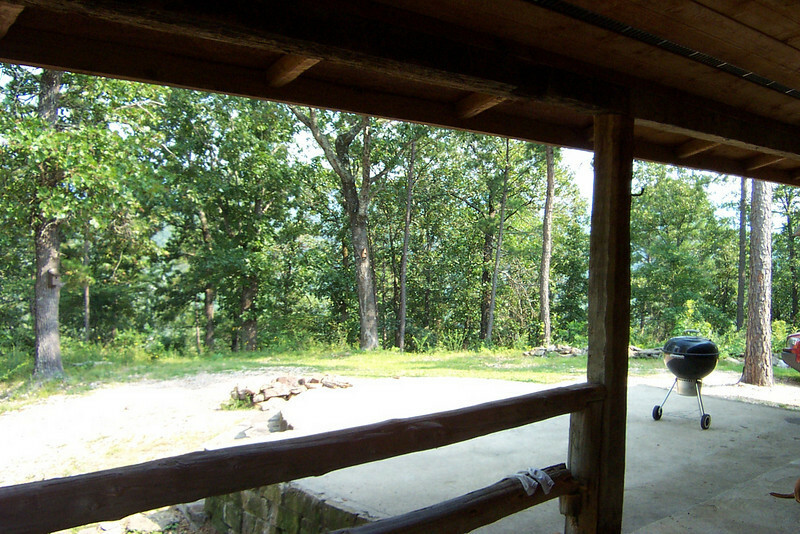 Both it and the first-floor bathroom were in the former "dog run" in the center of the cabin. That meant everything in this section was very modern. Looking from the kitchen back toward the living room. 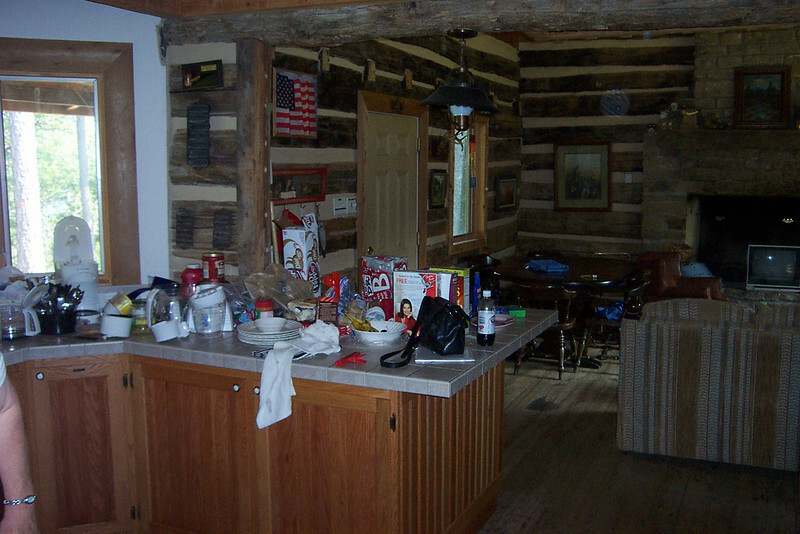 The table where we had our meals is at center (beyond the large kitchen counter/bar), near the cabin's front door. Behind the kitchen was the master bedroom where Mom and Dad slept (it was afternoon nap time when I took this shot). The master bedroom was quite large. The king-size bed is to the left (one corner is visible), and there was a sitting area with a couple of comfy chairs just behind me. 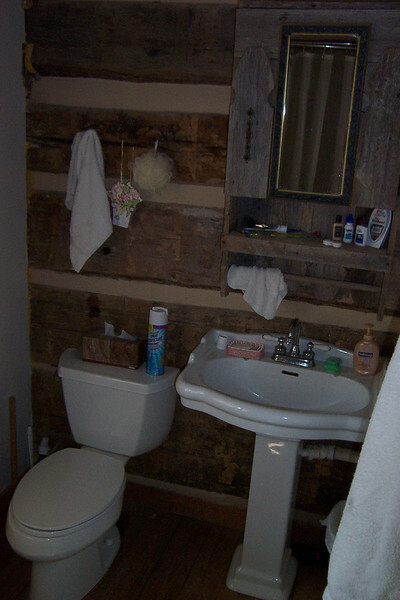 Despite its modern plumbing, the first-floor bathroom had rustic charm, including a claw-foot tub. 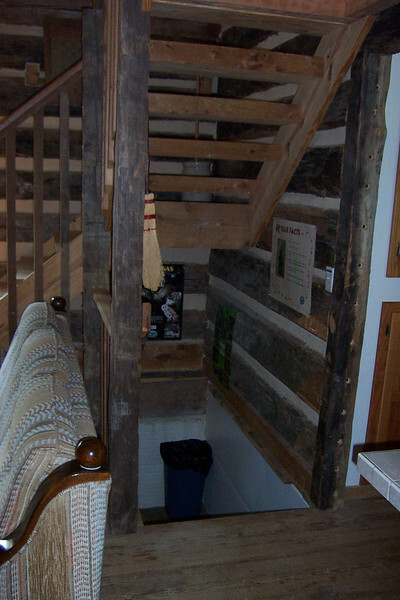 Under the stairs going up to the loft was another set going down to the basement. The basement and foundation was all new construction. I was amazed at how tall it was! Except for the tiny windows in this room (under the living room) I didn't feel like I was in a basement at all. 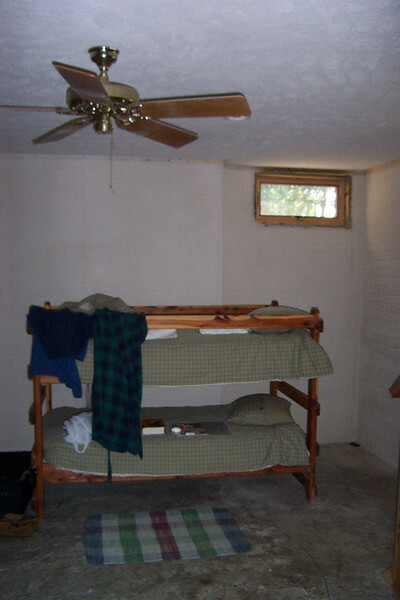 There were two identical sets of bunkbeds in this room, and I slept in the bottom of the other one (against the wall to the left). 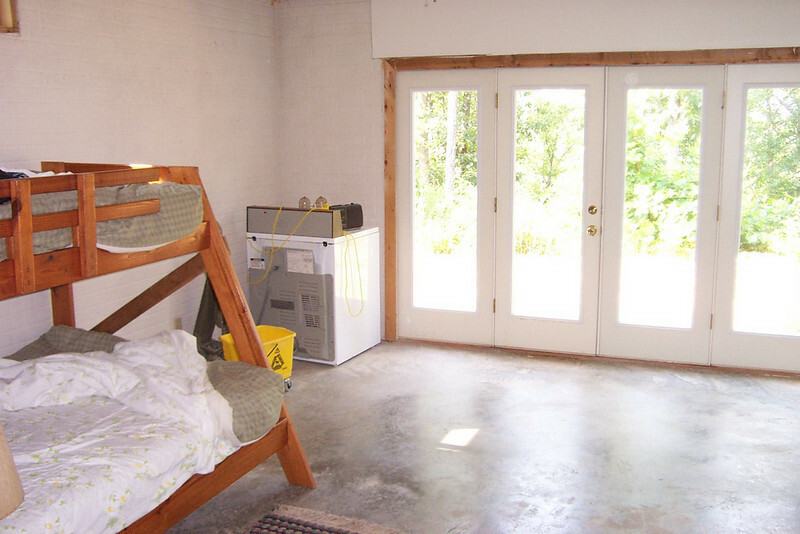 Because the house is on a hill, the other basement room (under the master bedroom) had this wall of French doors that gave you direct access to the outside. Mark slept in the lower bunk here. 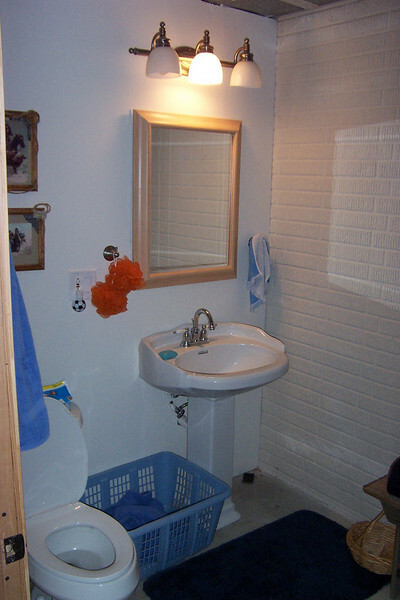 Between the two basement rooms was this very modern bathroom. 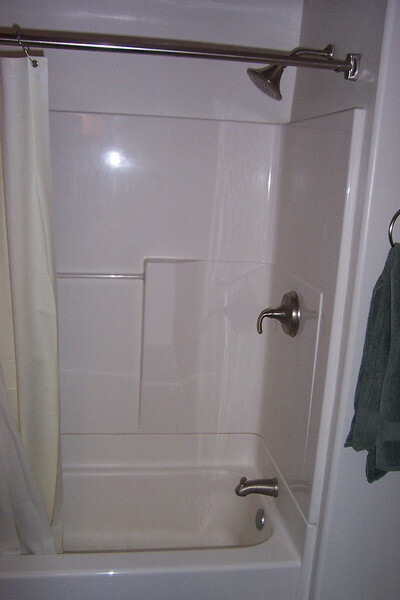 It had a built-in showertub. 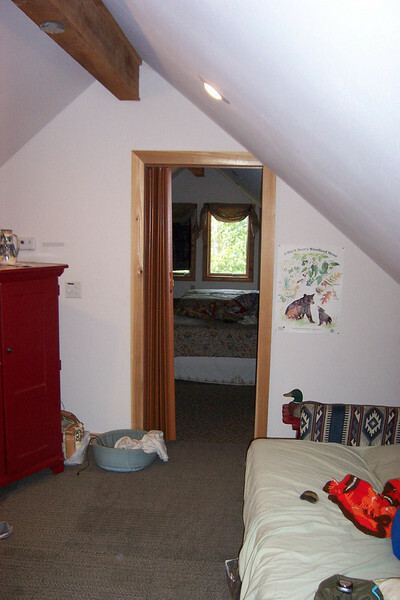 Across from the bathroom, there was also a laundry room. Here's Jenna enjoying the swing on the front porch (those are the kitchen windows). Being the cityboy that I am, I admit that I wasn't that enthusiastic about the idea of staying here. But the reality turned out to be much nicer than I had imagined! It was comfortable, had nice amenities, and plenty of space for everybody. 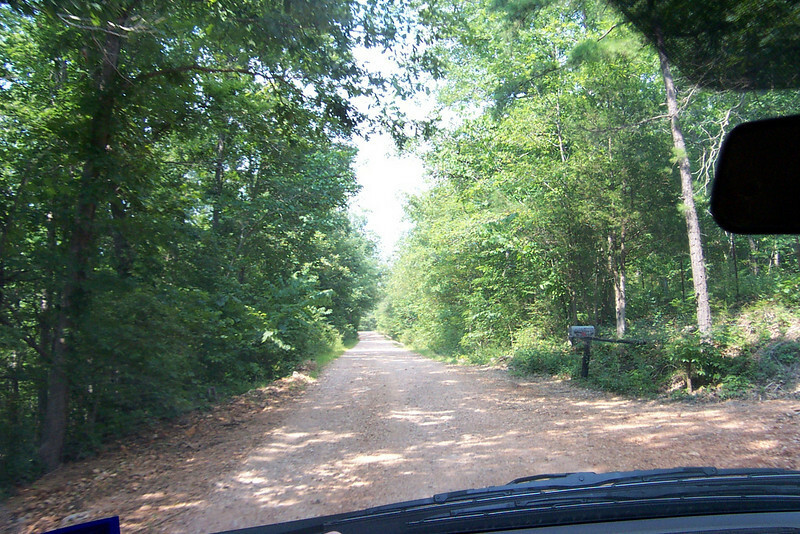 The one drawback was getting in and out on that road! 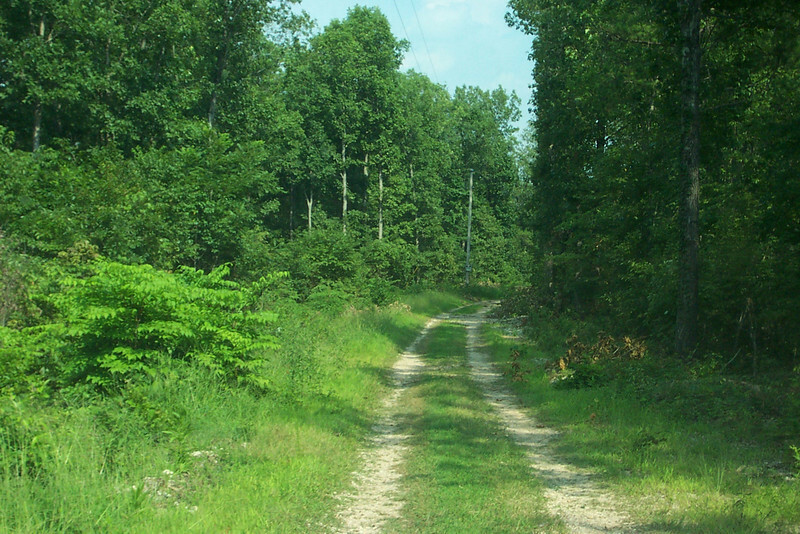 Because of that, we spent more time at the cabin and saw less of the surrounding area than I thought we would. But we still had a great time and it was fun just hanging out together! 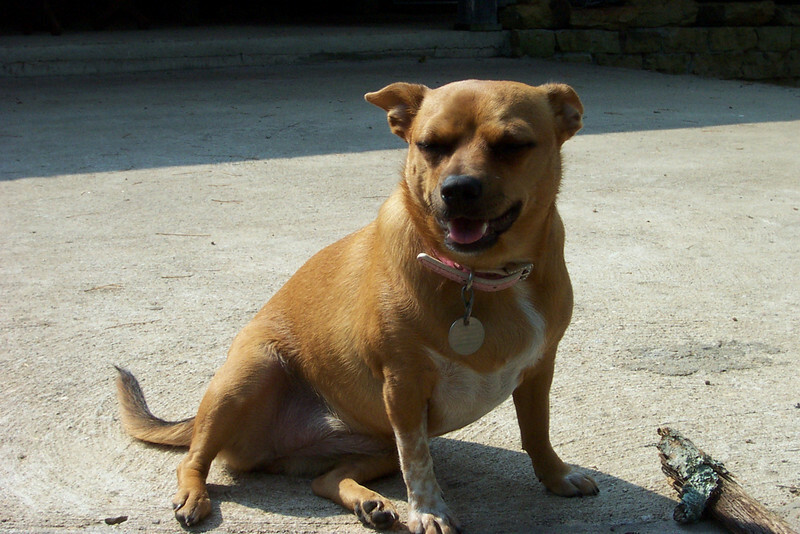 This is Jenna's dog Roxy. Isn't she cute? 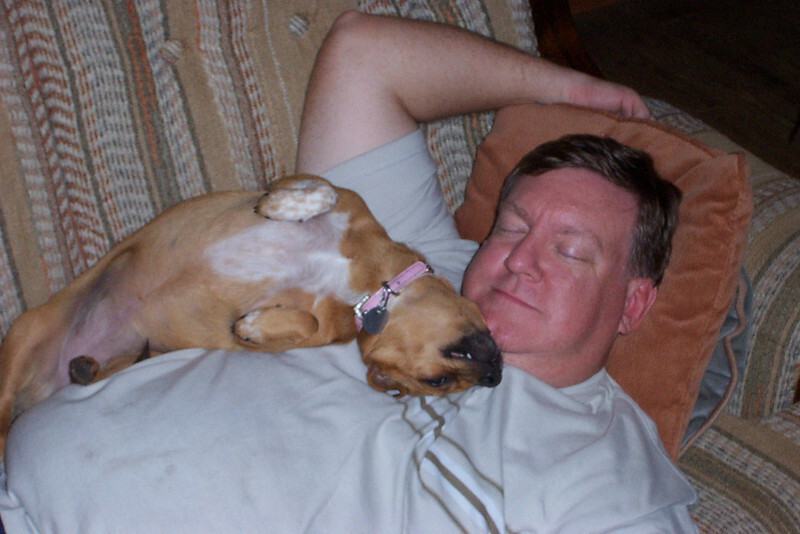 It was lots of fun having both her and Oscar (Sheri's dachshund) there with us. They were both good travellers in the car, too! It wasn't until I was back in Seattle that I realized I never took a single picture of Oscar this time. Sorry Oscar! I also wish I had taken more people pictures on this trip. We were a bit disappointed that there wasn't a better view from the porch. 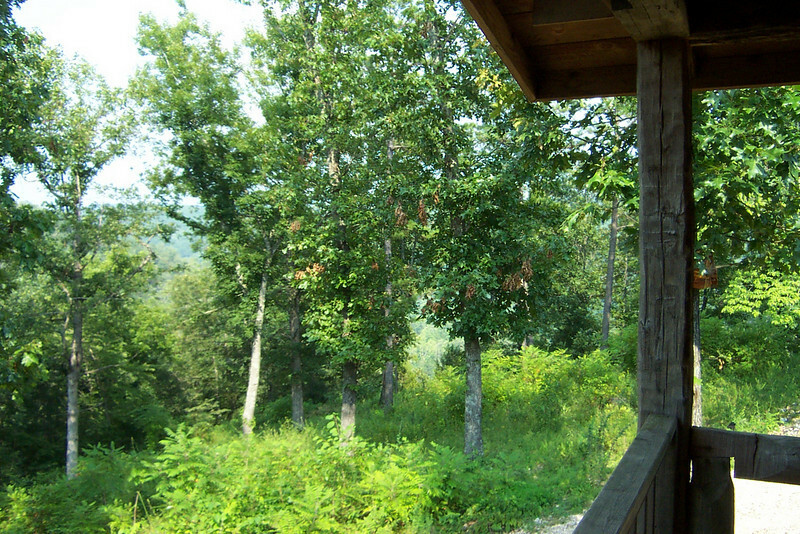 The cabin sits on the end of a high ridge, so if the trees and brush were thinned out, the view would be terrific. Another view from the porch. Far down below this ridge (at least a couple hundred feet) is the Cave Creek. Let's go down and see what it looks like! Peaceful Cave Creek. 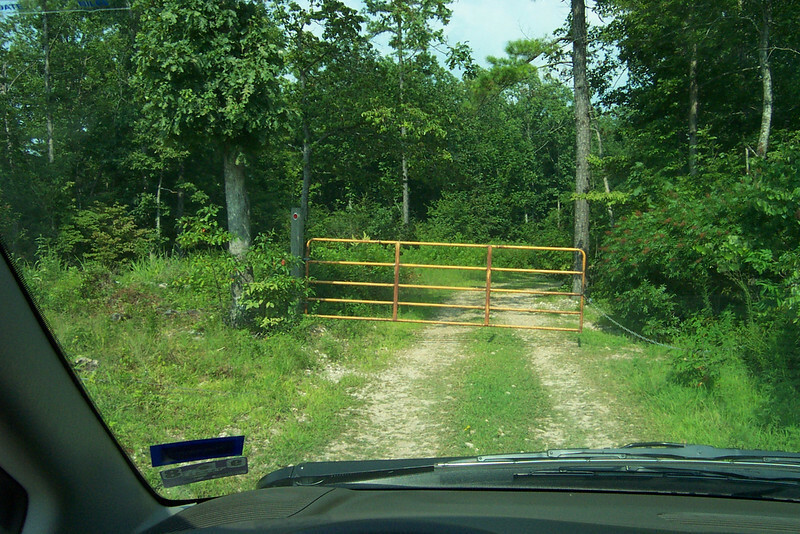 From the cabin, you have to drive back out through the gate, and then take a different dirt road to get down to the creek. The cabin is way up on the top of that ridge at left, high up above Cave Creek. 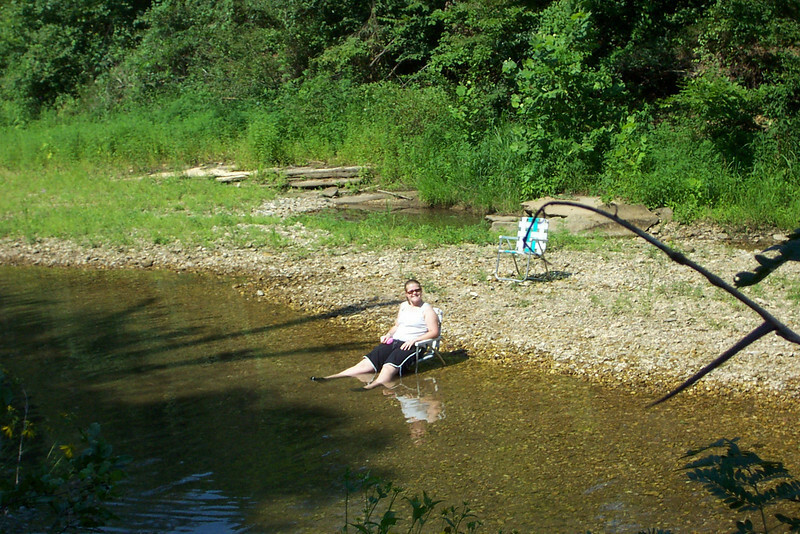 Cave Creek was shallow and had a very gentle flow, which made it nice to wade and sit in (as Jenna is doing). 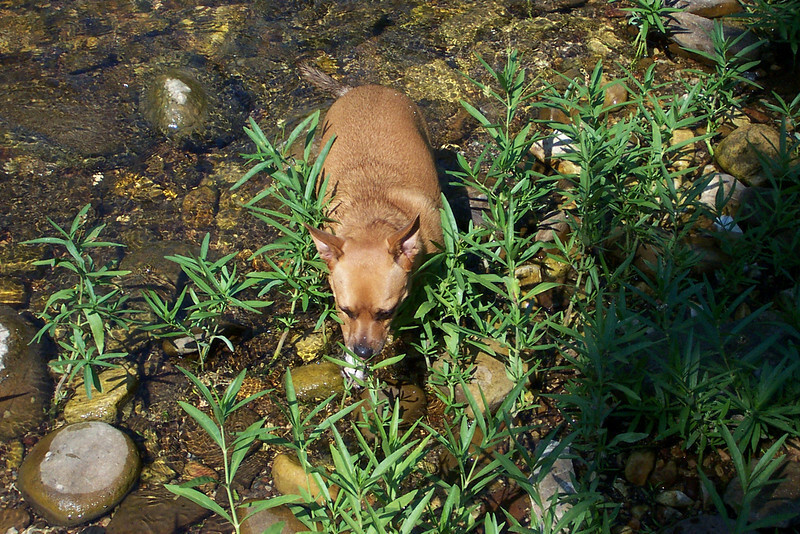 Roxy had a ball exploring the Cave Creek! 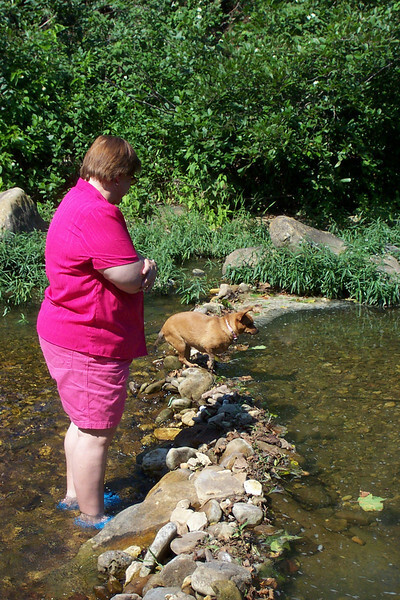 In one section of Cave Creek there was a small dam, which Wendy and Roxy are wading by. 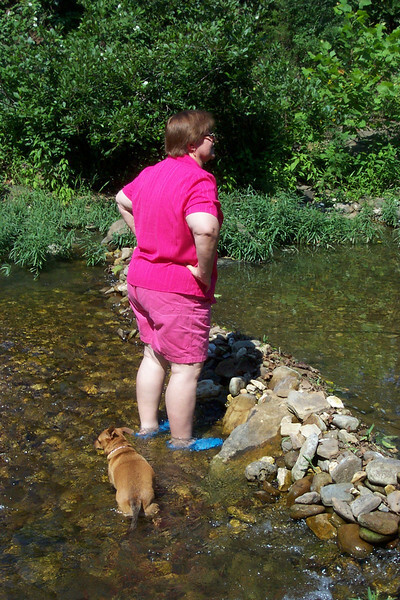 Right after I snapped this shot, Roxy tumbled into the upstream side. It was deeper than it looked and she went all the way under! She scrambled right out again and was just fine, but it gave Wendy and me a good laugh! 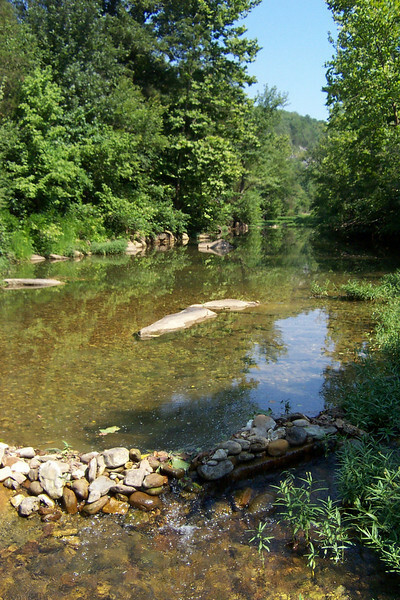 Above the small dam, Cave Creek's water was glassy and calm. 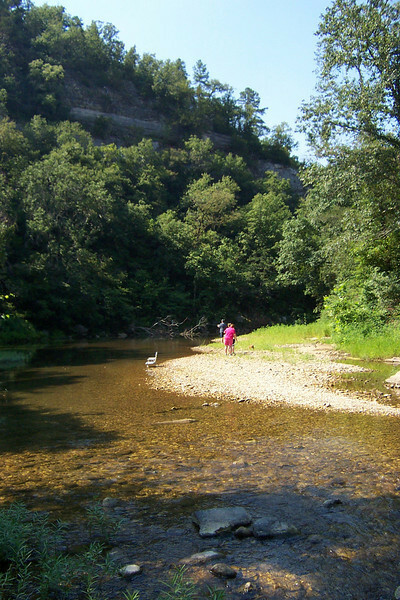 Mark waded up this way to try some fishing. The water got about three feet deep. He enjoyed fishing, but never caught anything. 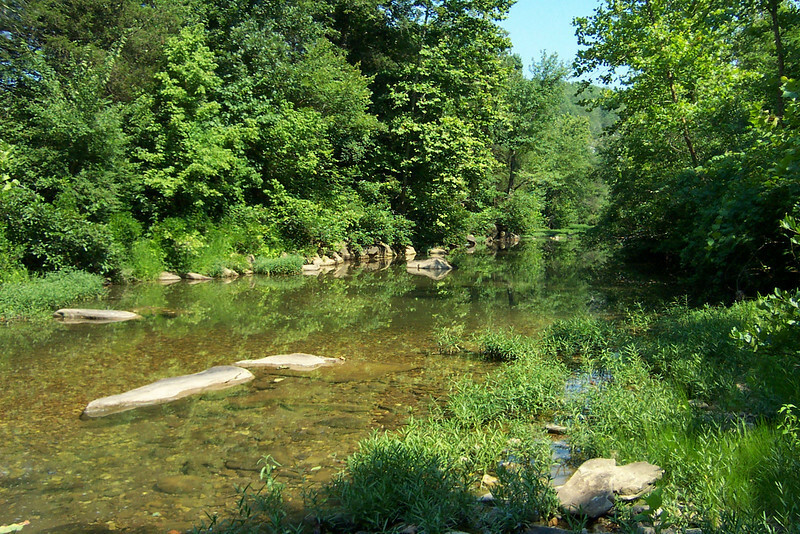 We could see some minnows in the water, so there were definitely fish here. But, we had no bait and the lures he brought were a bit too large. 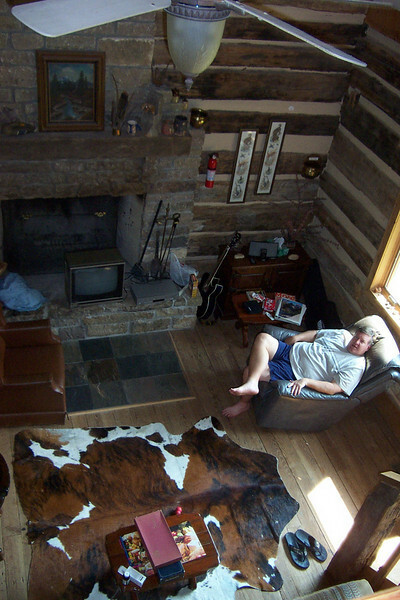 One day in the cabin, I discovered Mark and Roxy napping together in the living room. Isn't this just the epitome of relaxation?